The epoch (origin) of the modern Hebrew calendar occurred, the beginning of the Jewish Mundane Era. Cornell University opened in Ithaca, New York; initial student enrollment was 412. Born, Niels Bohr, physicist (atomic structure and quantum mechanics), Nobel Prize in Physics 1922 "for his services in the investigation of the structure of atoms and of the radiation emanating from them"
M. Wolf discovered asteroid #494 Virtus. 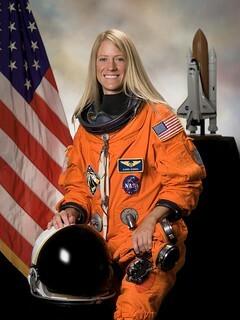 A. Kopff discovered asteroid #3687. Henry Ford instituted a moving assembly line, initially reducing the time to build a Model T from twelve and a half to six hours, and ultimately to 93 minutes. The technique revolutionized industrial production. KLM of the Netherlands (Royal Dutch Airlines) was founded, the oldest airline still operating under its original name (2018). G. Neujmin discovered asteroid #2484 Parenago. The first infrared photograph was taken, in Rochester, New York, the "First Picture taken in absolute darkness" using newly developed Eastman Kodak film. H. L. Giclas discovered asteroid #2347. Y. Vaisala discovered asteroids #1526 Mikkeli, #2258 Viipuri, #2679 Kittisvaara, #2716 Tuulikki, #2885 and #2972. The US manned space-flight program, previously called Project Astronaut, was renamed and approved as Project Mercury. USSR's Luna 3 took the first photograph of the far side of the Moon at a distance of 63,500 km from the Lunar surface. The pictures were transmitted to Earth on 18 October as the probe got closer to home. S. Arend discovered asteroid #2866. NASA and the USAF launched X-15A Checkout/Opt Deg. Test/Technology mission # 92 in which Joe Engle reached a maximum speed of 4561 kph (Mach 4.21), and a maximum altitude of 23.713 km. USSR's Cosmos 47 returned to Earth, completing the Voskhod precursor flight. L. Chernykh discovered asteroid #3577. Purple Mountain Observatory discovered asteroid #2631 Zhejiang. NASA's STS 51J (Atlantis 1, Shuttle 21) ended after flying a classified Department of Defense (DOD) mission. STS 51-J was launched 3 October 1985. The launch was delayed 22 minutes 30 seconds due to a main engine liquid hydrogen prevalve close remote power controller showing a faulty "on" indication. STS 51-J was the second Shuttle mission dedicated to the Department of Defense. It deployed the USA 11 and USA 12 military communications satellites on 4 October, both boosted into geostationary transfer orbit on single IUS (Intertial Upper Stage) booster. USA 11 was positioned in geosynchronous orbit at 12 deg W in 1986; 42 deg W in 1995. USA 12 was positioned in geosynchronous orbit at 180 deg E in 1994. STS 51-J achieved a Shuttle record altitude which was still standing in May 1993. STS 51-J ended on 7 October 1985 when Atlantis landed on revolution 64 on Runway 23, Edwards Air Force Base, California. Touchdown miss distance: 754.00 m. Rollout distance: 8,056 feet (2445 m). Rollout time: 65 seconds. Launch weight: Classified. Landing weight: 190,400 pounds. Orbit altitude: 319 nautical miles. Orbit inclination: 28.5 degrees. Mission duration: four days, one hour, 44 minutes, 38 seconds. Miles traveled: 1.7 million. The orbiter was returned to Kennedy Space Center on 11 October 1985. The flight crew for STS 51-J was: Karol J. Bobko, Commander; Ronald J. Grabe, Pilot; David C. Hilmers, Mission Specialist 1; Robert L. Stewart, Mission Specialist 2; William A. Pailes, Payload Specialist 1. The USAF launched Navstar 46 (USA 145) from Cape Canaveral, Florida, the third GPS Block 2R satellite. SVN 46 replaced SVN 50 which had been damaged by rain on Pad 17 while being prepared for launch earlier in the year, and was placed in Plane D Slot 2. NASA launched STS 112 (Atlantis 26) for the International Space Station Flight 9A to install and activate the S1 (S-One) Truss. Asteroid 2008 TC3, 4.1 m (13 ft) diameter weighing 80 metric tons, entered Earth's atmosphere and exploded at an estimated 37 kilometers (23 mi) above the Nubian Desert in Sudan, the first time an asteroid impact was predicted prior to atmospheric entry. 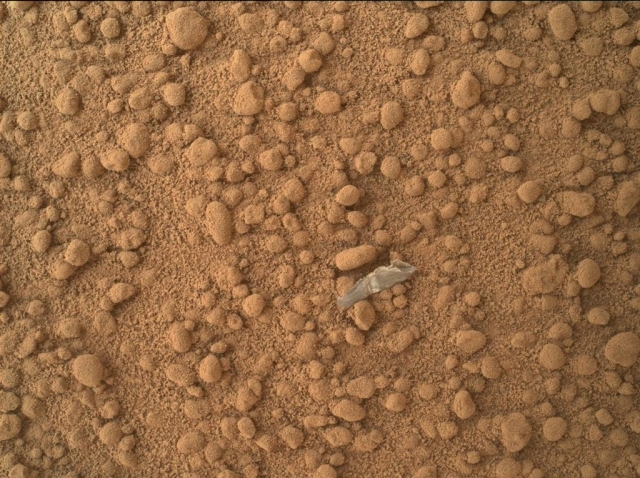 NASA's Curiosity rover discovered a "bright object" in the sand at Rocknest, interpretations by scientists suggest the object is "debris from the spacecraft."